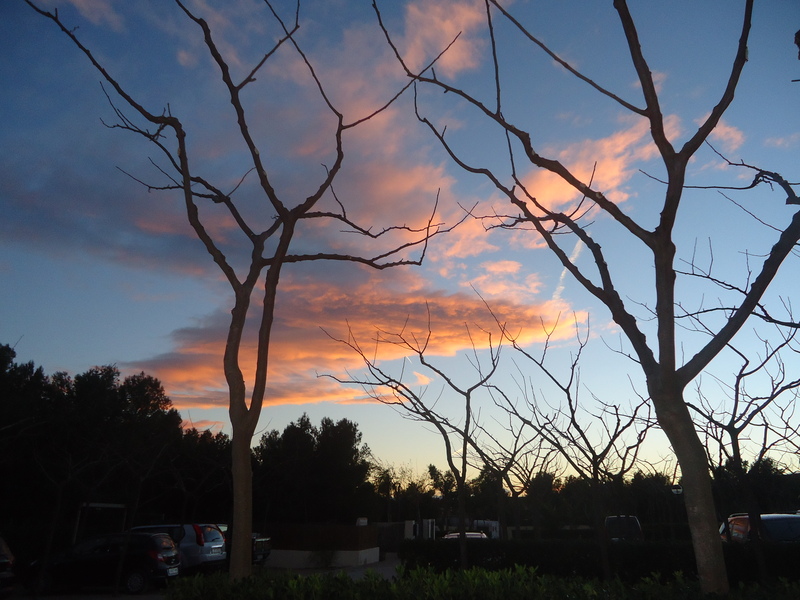 The weather remained dry and warm, about 16°, as we travelled south, leaving France and passing into Spain. We followed the coast road, bypassing Barcelona and a smaller town called Peniscola. I checked the pronunciation as to get it wrong could be embarrassing and, sure enough, it sounds a bit like “penyee scolla” (the “n” has a wiggle above making it sound like mañana) – too easy to get that one wrong, huh? We found a campsite called Camping Ribamar, situated in the hills at the end of a 1K dirt track road. 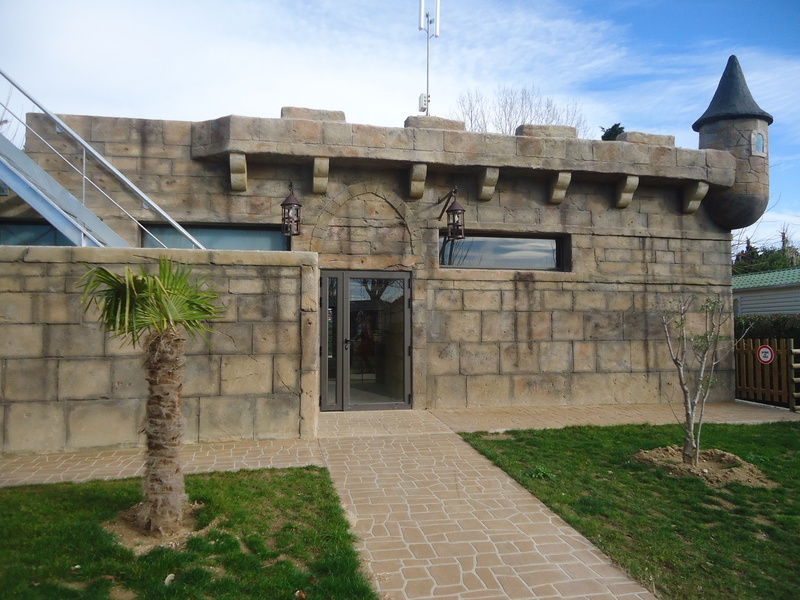 The site was near to Alcossebre and was very clean and neat and was set in terraces on a hill overlooking the Mediterranean. Many camp sites are closed at this time of year, so when a good one is open all the year round it can get quite busy. There were five or six other British campers, as well as a few Germans and Belgiums; and wherever we travel we always come across one or two representatives from the Netherlands; folk from cold, northern climes flocking south for the warmer weather. This site had a restaurant that opened for just an hour each evening. We ate there one night, the menu was very limited, and the lady who served us was also the cook and the bartender. She was very efficient although she spoke absolutely no English. We had a lovely evening sitting around a wood burning stove with two other couples, one German and the other Dutch. During day it was warm enough to sit outside and we explored the footpath along the shore that took us into town, a walk of about an hour. We left UK on the 17th January by Eurotunnel from Dover to Calais, cost £120 one way, the date of our return remained open. Our journey had not started well; the previous day when we had a puncture on the M23. It was quickly sorted out by the AA and we were then able to travel on to Folkestone on our spare wheel and a new wheel was fitted at ATS, just in time for us to get to Kate and Neil’s to celebrate Violet’s first birthday. 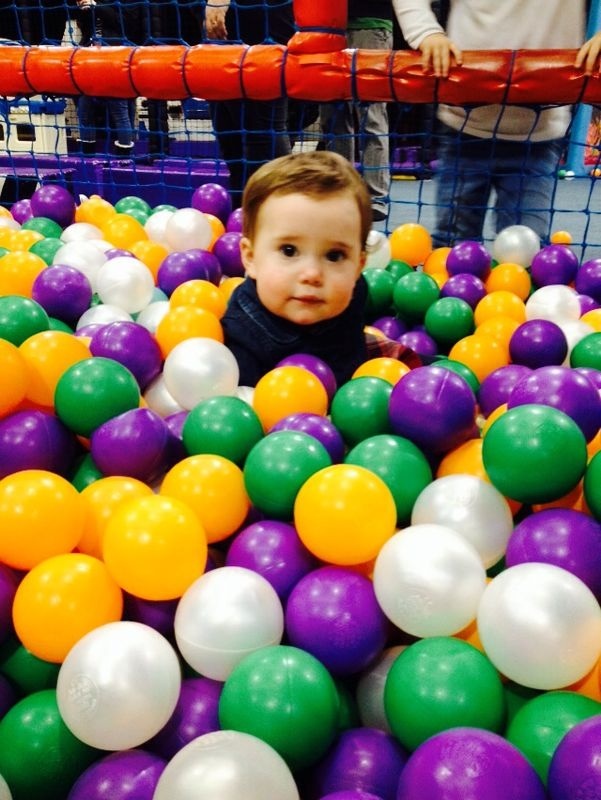 The next morning we arrived at Eurotunnel in good time for our train and, in their usual efficient manner, we were quickly ushered onto an earlier train that was about to depart. So we arrived en France earlier than planned which made up for the fact that European clocks are an hour ahead of the UK. Our first stop was planned for a revisit to Les Moulins de la Vergne near Pons. We had been there before and had had a wonderful meal in the adjacent restaurant and we were eager to repeat the experience. However, someone (not the writer) had plumbed the wrong site into TomTom and we arrived at a dark, un illuminated site called Camping Le Moulin at Chef Boutonne. It was pitch black and pouring with rain and it took us a while to realise we were not where we thought we were – by which time we had driven down a narrow, dead end lane where we had to do a hundred point about turn to get out, narrowly avoiding a deep stream running along one side. We finally found somewhere to park managed to roused the owners, who happened to be English. We didn’t ask why their scruffy site had no lights, we received a grudging welcome and they asked us not to disturb them early the following morning as they were off out to a restaurant that night. No such luxury for us but we dined well enough on a frozen meal from Cook. The weather was slightly better the following morning when we set off for Marmande where our friends, Charles and Caroline Lamb had recently bought a pretty little house a few miles outside St Vivienne de Monsegur. 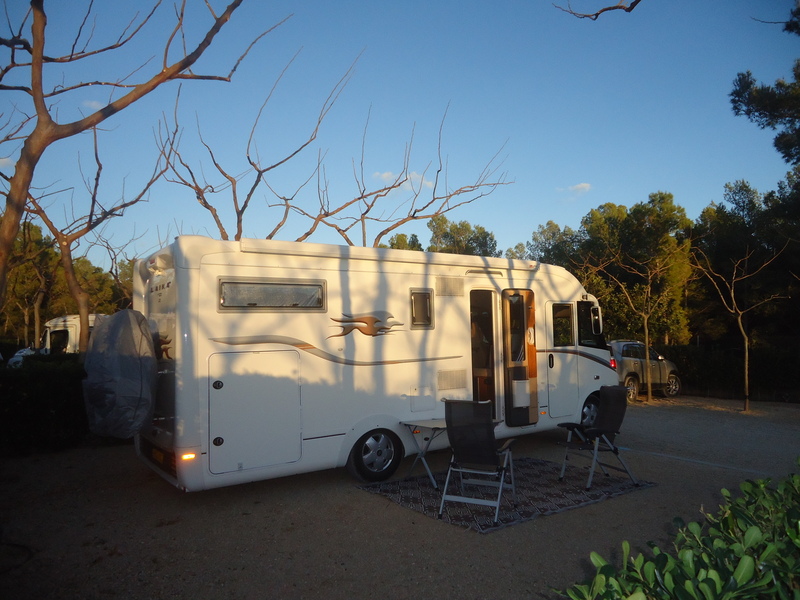 Driving towards Marmande, Tony noticed an engine warning light which indicated a fuel injection fault; the camper went into “limp” mode which is designed to get you home on reduced power – so we limped to the Lamb’s. We contacted our insurance company’s helpline and, within the hour, a low loader had arrived to take the camper away. It was 7pm on a Saturday night and we did not want to be separated from our home and all our possessions so we dismissed the low loader and enjoyed a lovely evening with the Lambs. 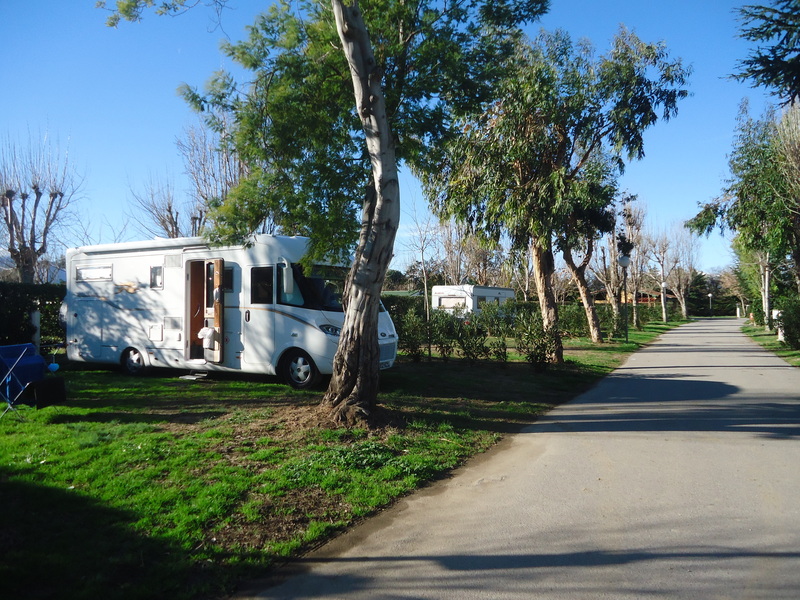 The following day (Sunday) we limped to Bordeaux and spent the night at a campsite close to the Fiat camper service agent and first thing on Monday we presented ourselves at the Fiat service desk. They soon diagnosed the problem, saying we needed a particulate filter and the turbo required replacement. So we had to leave the camper with them and took a taxi into the centre of Bordeaux where we found an acceptable hotel for €120 per night plus €14 for breakfast. We phoned the assistance on a regular basis to try and expedite the repair but it took two days for the part to arrive and we were told it was a bigger job because the van was right hand drive and they had to remove the steering to gain access. So we had to sit and wait. 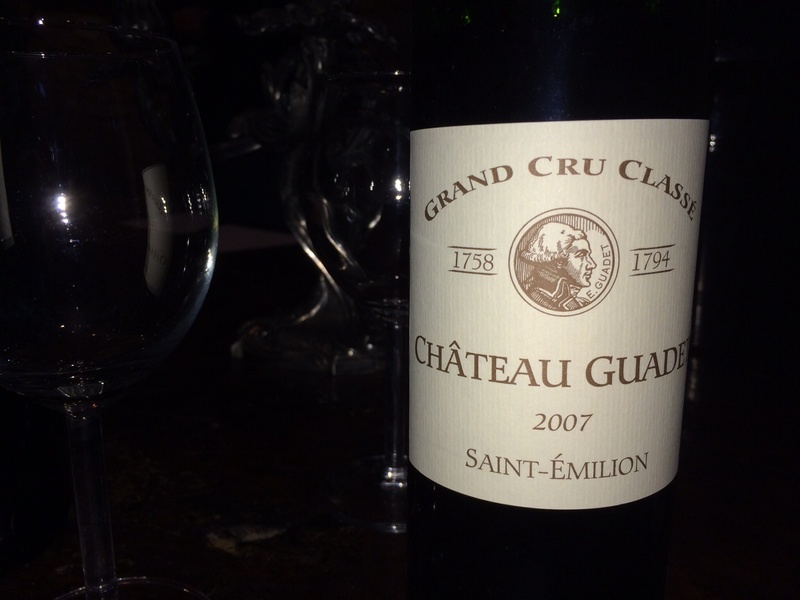 We enjoyed our stay in Bordeaux. They have an amazing modern (10 years’ old) electric tram system running on rails set into the road with no overhead wires. They run silently but they do have a loud bell that the driver can sound should a pedestrian stray into the path of the tram. In spite of this we were told that there were many accidents, the pedestrian always coming off worse. 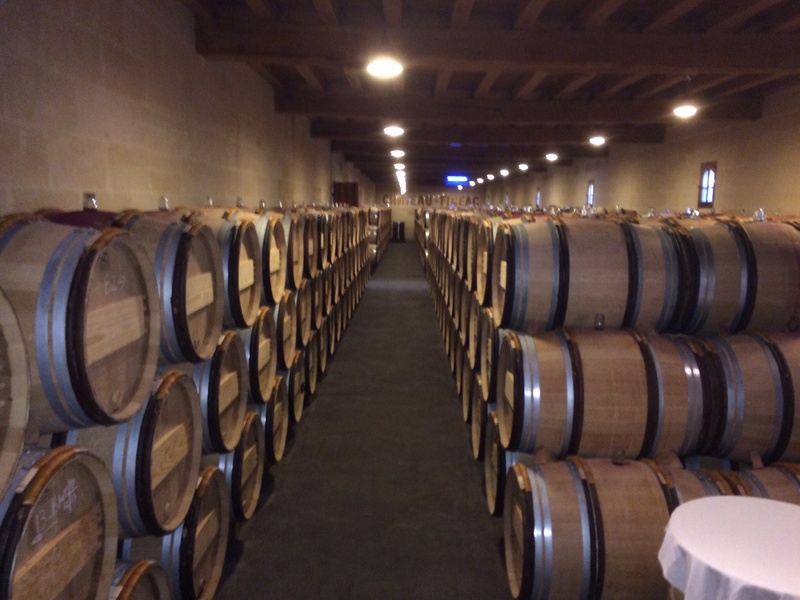 We visited two vineyards outside Bordeaux and enjoyed being shown their ancient cellars filled with oak barrels of maturing wine. 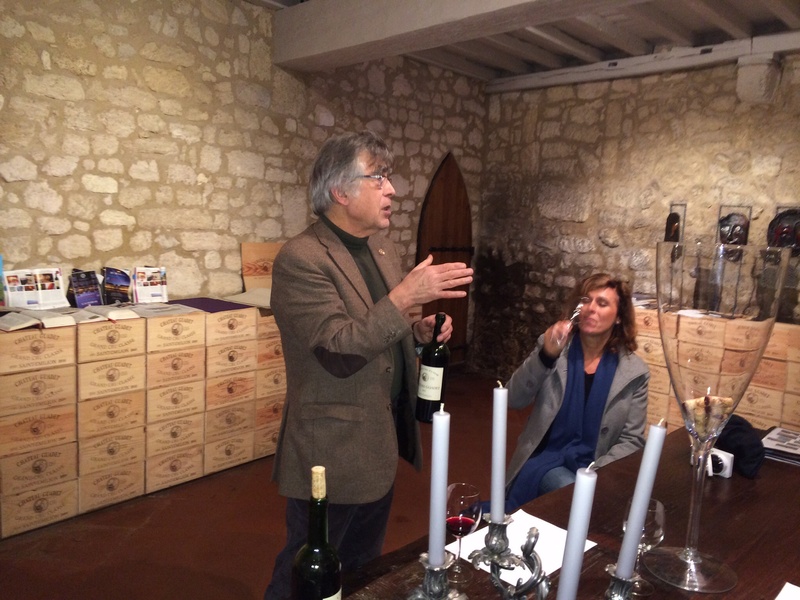 At the end of the tours we were offered tastings which we thoroughly enjoyed. One evening we went to see the Cape Town Opera Company performing “Porgy and Bess”, sung in English with French subtitles. The tickets were €8 each for restricted viewing seats right up in the gods – the only tickets available. Many of the actors were – quite frankly – fat, which didn’t help with the aesthetics of the dance routines but there were some beautiful voices. Gershwin wrote the opera in the mid 1930s and political correctness was not as it is today and made us feel a little uncomfortable …. or maybe opera was not quite to our taste. However, the theatre building was stunning and some of the audience even wore evening dress so we enjoyed the whole spectacle and I am still humming “Summertime” in my off key way. By the Friday morning Tony had run out of patience with the time it was taking to repair the camper. If they didn’t finish the job by the end of business that day we would have to remain in Bordeaux until the following Monday. The mechanics finished work at 5pm on the dot and there was certainly no weekend working. On Friday morning we checked out of our hotel and sat in the reception of the Fiat garage and waited, and waited. Our persistence finally paid off and just after 5pm they brought the camper round to the forecourt. There was no charge for the repair but we had spent hundreds of Euros on the hotel. We hope we can claim this from the insurance company. 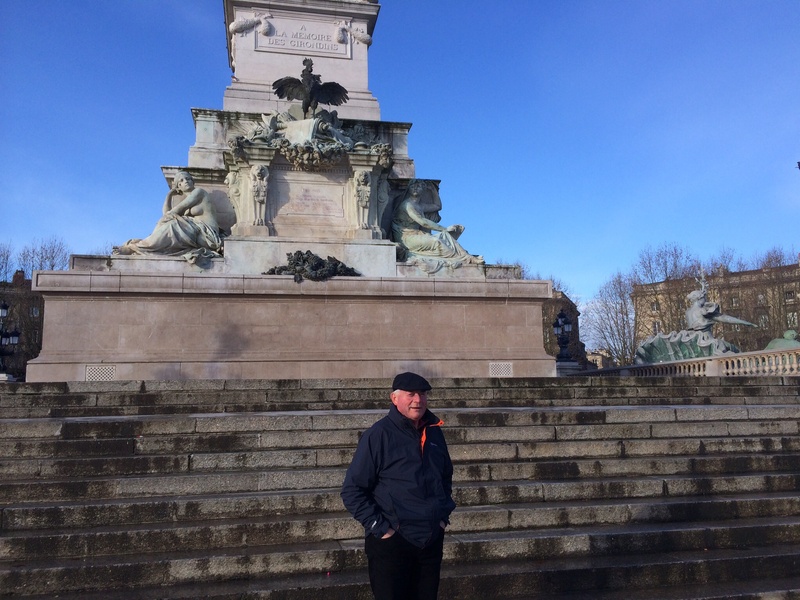 The weather in Bordeaux had been fine earlier in the week but it started to rain on the Thursday night and, by the time we got the camper back it had been raining solidly for two days. 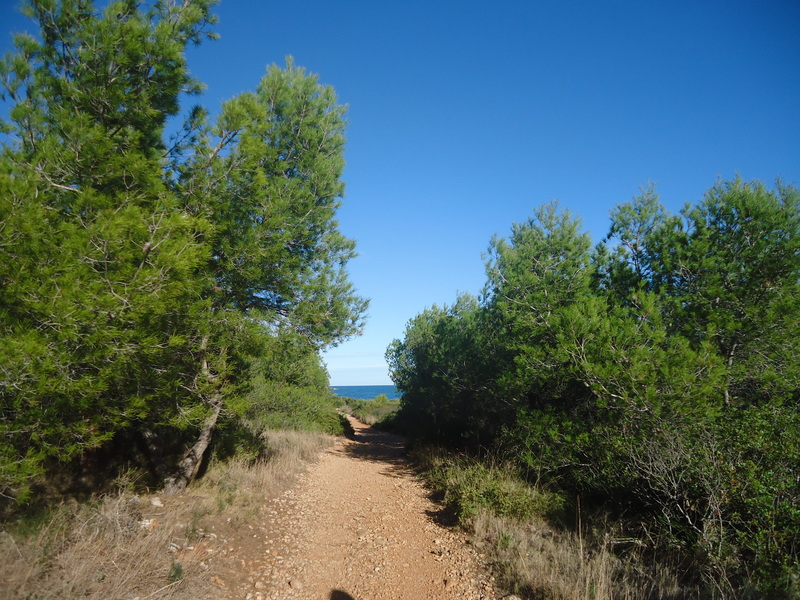 The following morning we decided to head south east towards the Mediterranean coast. Driving conditions were dreadful on the motorway but we plodded on past Toulouse and Carcassonne and, about 3pm we suddenly saw a glimmer of light in the sky on the horizon. Within fifteen minutes the surrounding countryside had changed from dismal greys to bright colours and a blue sky. We arrived at our campsite at St Cyprien in glorious late afternoon sunshine. The campsite was called Le Florida, we stayed two nights using the time to catch up on some chores. On Saturday evening we walked up the road and found a tapas bar alongside a retail park. The place was heaving with rugby fans watching Toulouse v Perpignan on a big screen, the home team won. There were fifty or so places laid up for dinner but they found us a table and served us a delicious meal of prawns, squid, razor clams, mussels and scallops, grilled and served with chips, salad and garlic mayo. 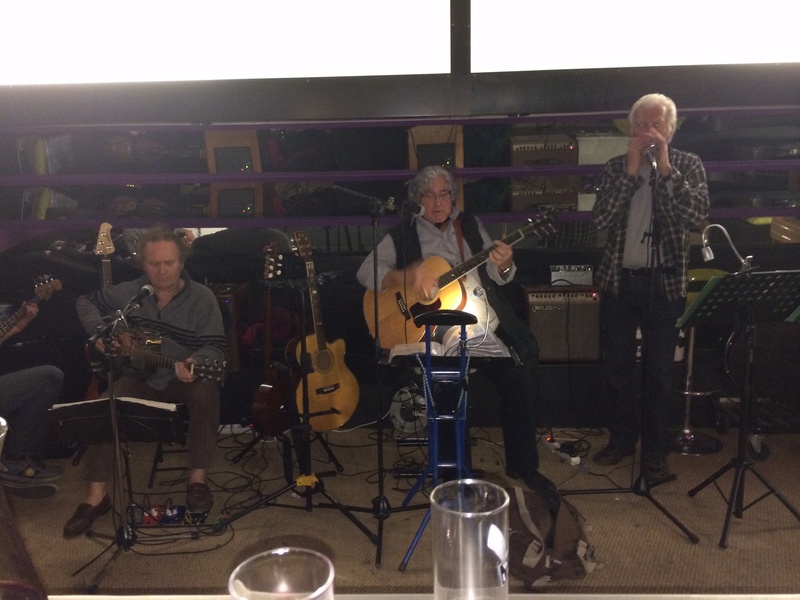 A live band was playing rock and roll, the lead singer had lived in England for ten years. He said years ago he had played with Lonnie Donnigan, I was a groupie for the evening! Our fridge freezer had stopped working whilst the camper was in the garage; it should have automatically switched over to gas when no electric power was available but it had defrosted and we had to throw away the freezer contents and a couple of lovely steaks that had over-ripened. Tony was able to locate the fault and put it right. He gave the van a good wash too. The campsite toilets were quite bizarre, brand new and built to resemble a fort. Toilet and shower cubicles were arranged along the four side walls. 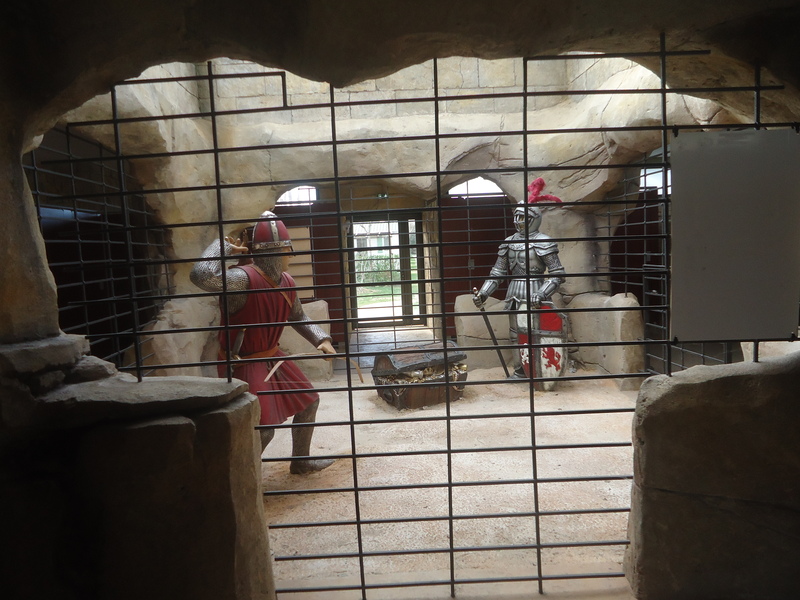 In the centre was an installation of two life sized armour clad fighting men in a cage, we assumed it was supposed to be fun for the children but it was a scarey sight as you came out of the toilet.